Patients in the Chesapeake and Virginia Beach area have been seeking the best neck pain treatment in the area from Precision Spinal Care. We specialize in treating our patient’s root problem areas so the symptoms, such as neck pain, decrease or are eliminated. There are literally over 10,000 different combinations of how the head and neck can get out of alignment. The head weighs over 10-12lbs like the weight of a bowling ball, and sits on a small bone at the top of the neck called the atlas which weighs only a few ounces. Microtrauma (years of bad posture, talking on the telephone between the neck and shoulder for long periods of lateral flexion, sleeping on one’s stomach twisting the head and neck into a bad position). No part of the spine is as vulnerable as the neck region. 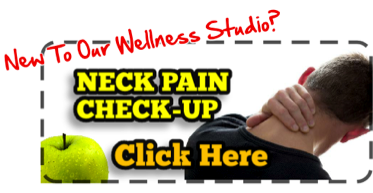 Acute or chronic pain in the neck is a sign something is wrong. Unfortunately most medical treatments are designed to stop the signal saying something is wrong with the neck rather than actually dealing with the problem itself. Pain killers, muscle relaxers, physical therapy and even surgery with fusions of the lower cervical spine are all too common. A NUCCA doctor is a specialist in the field of chiropractic that actually can diagnose the exact nature of the misalignment between the head and neck triggering the neck pain in the first place. Although non-invasive, physical therapy and traditional manipulation chiropractic are all too often cookie cutter in approach in treating neck pain. A NUCCA series of x-rays actually gives the doctors a unique correction formula for each patient’s misalignment of the head and neck and a way to correct the cause of the neck pain by restoring balance between the head and neck with a gentle and safe correction that is unique to each patient and helps restore muscle balance and irritation to the nerve roots of the neck. Neck pain can severely affect the quality of your life, however only treating the symptoms and never getting to the root cause in this critical area of the spine has consequences. The alignment of the head and neck also permit nerve flow from the brain through the brain stem out to other parts of the body through your nervous system and can cause of host of other health related problems that could go misdiagnosed because the neck pain was only addressed from a symptomatic viewpoint. A NUCCA spinal correction is safe, gentle and designed to deal with the cause of your neck pain and uses post-exam measurements to ensure the cause has actually been corrected. Our office is ready to help you carry out a pain reduced or free lifestyle. Call us today if you would like more information on neck pain, back pain, leg pain and more! in the Chesapeake and Virginia Beach area!